How to set up Jibble with multiple Slack teams? If you have (or plan to have) multiple teams in Jibble, it could be worth using the Slack integration for these teams too. Follow the the step by step instructions below to set it up. Keep in mind that you can only have one Jibble team per Slack team. 1. 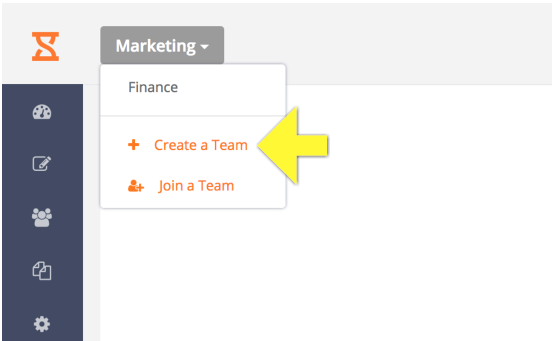 Switch to the team in the dashboard that you would like to setup in Slack. If you don't have a team yet you can create one. 2. Give the team a name. After you create the team do not invite anyone just yet. Note: Make sure you are logged into Slack and have the right permissions to add on apps. If you can't see your team, you're slack team is most likely not related to that e-mail address.